Japanese streetwear giant A Bathing Ape (BAPE) continues its long-running G-Shock partnership with the release of a new collaboration watch for March 2017. 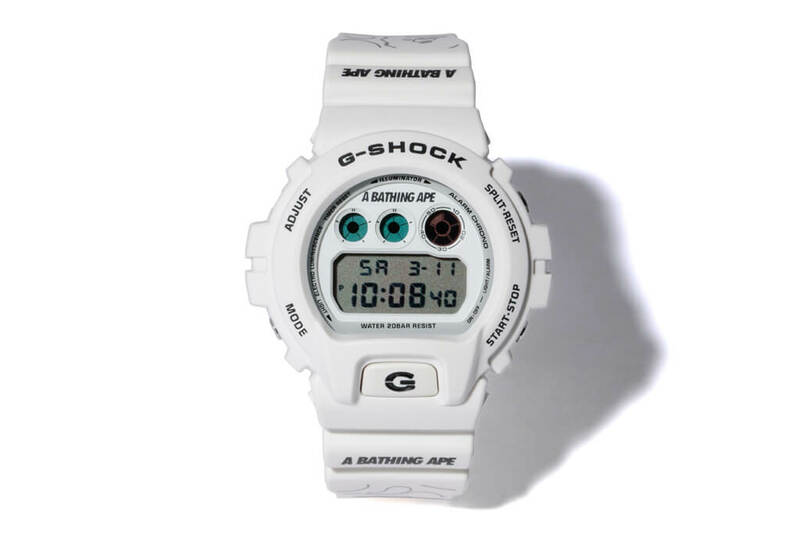 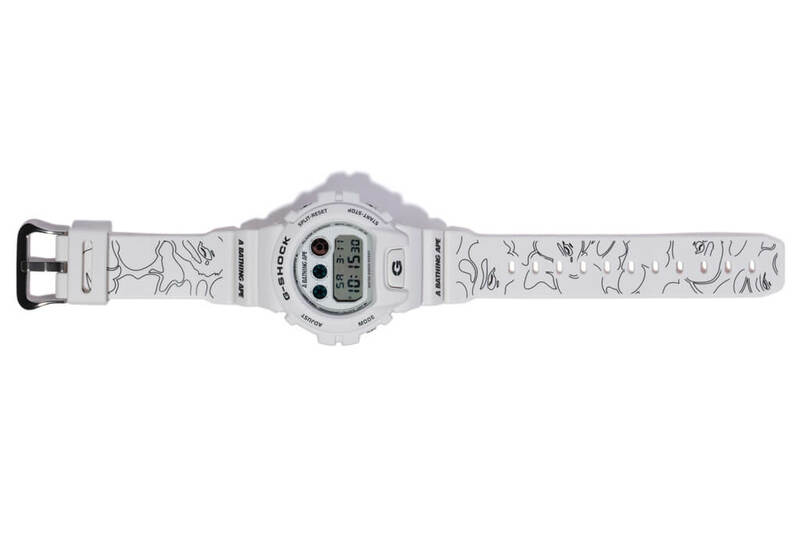 The white BAPE x G-Shock DW-6900 features BAPE branding on the face, bands, and case back. Is also has a unique “duck pattern” design on the bands and the blue-tinted EL backlight. 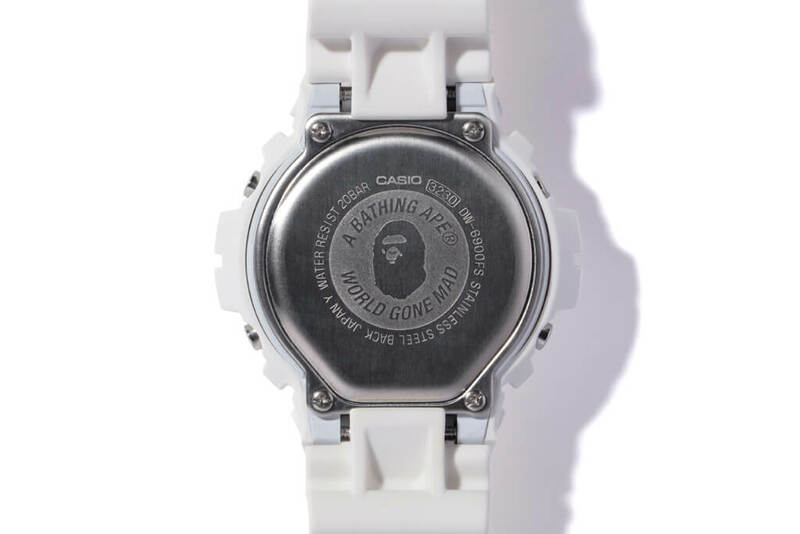 The Japan-made watch will be available at select BAPE retail stores in Japan and online at the BAPE Webstore starting March 11, 2017. 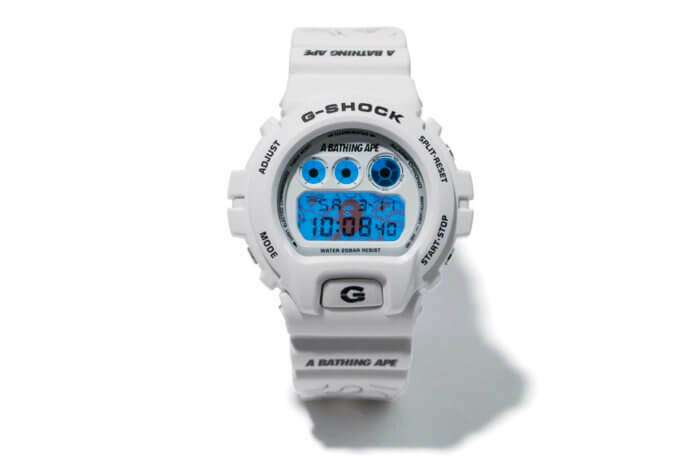 The retail price is ¥21,000 JPY plus tax.